This is the most overlooked part when it comes to a wedding shoot, yet it is one of the most important things that a couple needs to prepare, because these poses will either make or break your shoot. Only visualizing the poses that you are going to make is not enough, you need to practice them as well, this way you don't feel awkward making them in front of the camera. The rose petal shower will make any shoot super romantic while also making the couple look passionate. This pose looks best when done in a boat but you can do it wherever you want. If done in a public place this will not only make you feel special but it will also make people around you go "Aww." If you are too shy to kiss on camera this is the pose for you. No, I am not talking about kissing behind an umbrella or flower, which would be lame. Just sit on a park bench and find some kids. Make them close their eyes when you kiss behind a balloon and the shot will be perfect and adorable. If you are a Bollywood lover then this shot is a must to have in your wedding shoot. The bride spinning with the groom in the light is a normal shot, what makes this special is the background light. The light shines through while the couple is shown as just shadows. Also, this is one of my personal favorite shot as well. This shot is a trend from the 90s and is also a favorite for Bollywood directors. Making the dupatta fly with help of a fan, makes for a really intense and romantic wedding shoot. Do you remember the movie Veer-Zara? Well, this shot made the movie go to a next level and if you need some Bollywood romance in your wedding shot, this scene is totally worth putting in. What could be more stunning than the groom pushing his bride on a swing in the middle of Khet (fields)? 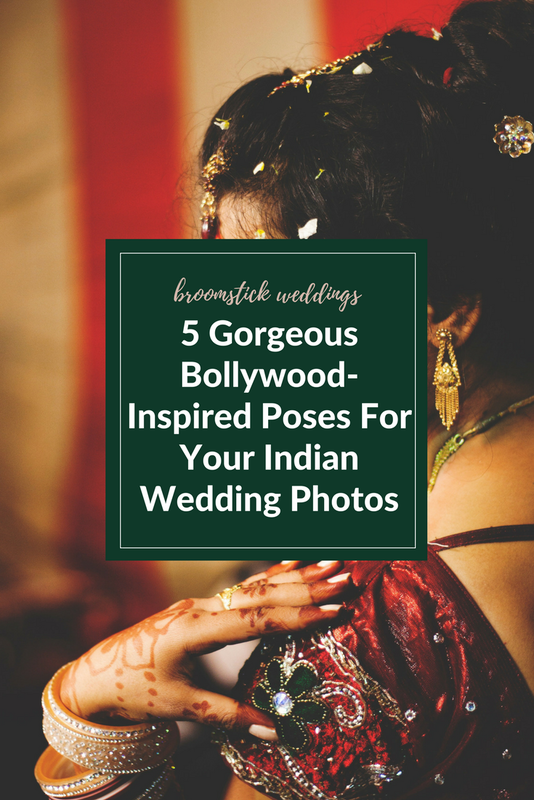 This is a must-have Bollywood shot that will complete your love story and will also add the Classy + Desi effect to your shoot as well. Do you have more poses in mind that you think can be super cute when it comes to pre wedding shoot? Let's know in the comments below. This article has been written by Simar Singh. He is the Content Marketing Manager working with wedding knob. He also possesses expert knowledge of pre wedding video. Be like Simar. Contribute a Broomstick blog article here.